Set within the prestigious Twenty Ten Clubhouse, diners will enjoy the stunning views over The Twenty Ten course and beautiful Usk Valley. The Rafters menu is simple and elegant, with a touch of Welsh flavour. Rafters’ talented chefs have created a menu with many local ingredients to create succulent steak and grills. Dining at Rafters is a good excuse to dress up, although there are no stuffy rules. You’ll feel equally at home in smart casual attire or something a little more formal (please no shorts, vests, flip flops, torn jeans, trainers (white or coloured), football or rugby shirts). Formal footwear is required. There is no communication between waiting staff at all. The poor waitress for our section had about 5 tables wanting steak cooked at the table, but obviously that takes time and while she was doing so no-one was covering her tables. She did her best but needed help. We had to go and get our own menus and had to keep getting the attention of staff to get anything. Not great on the first night of our honeymoon. The food was very nice though. Lovely food and location. Atmosphere was not great, largely due to the restaurant being so quiet. Ordered drinks and had to go to the bar to reorder due to the staff forgetting, which is shocking as there were so few diners. Although the location and food was lovley we felt a little rushed. The staff were very curteous and polite but there was no pause between the starter and main course. As soon as the starter plate was removed the main was served straight away. We were in and out within 45 minutes. It would have been nice to have had a pause of about 10 minutes between courses. Best restaurant on the resort. Wasn’t impressed with the menu at all! Staff were lovely, but wasn’t much selection on menu and what was on menu was definitely not our kind of food, at all. We left and never ate there. A very enjoyable meal; lovely atmosphere and delicious food. Calming and relaxed atmosphere. Good choice of meals. Fantastic value. Excellent service. Attentive and very friendly. Helpful. Have recommended to all friends & family. It took a while for our order to be taken. Menu choice was limited but accept this was a midweek menu so has to be refined, the fish cake maybe a little too dry and therefore felt heavy, overall the food was good and represented value for money. I was quite surprised that two of the tables near us complained about something. Our evening was enjoyable and we will return. I sometimes wonder if people complain over the most trivial things just to get something for nothing! The quality of the food and drink truly was tremendous, and the service as a whole was very good. My only complaint was that there was a 1 hour and 15 minute gap between our starter and main course. Others who came in after us, with bigger parties of people, were served their main course before we were. We were only served when my partner asked a member of staff if our food was going to be served soon. The member of staff hesitated for a second, then said it would be. He left for approximately 1 minute, then returned and began to cook it in front of us (it was a steak dinner which is cooked on a trolly type cooker next to the customers table). The fact it was served after we had to ask for it seemed awfully convenient and made us think that we had been forgotten about for the last 1:15. This ultimately led to our evening being changed, and a few hours at the hotel bar being missed (because we ate too late we were too full for drinks). However, that being said (being forgotten about or not) the staff were very polite and approachable, and the quality of the food/drink was truly brilliant. It’s difficult to underscore yourselves on a rating for a one off error, even if it was on our part. Unusually poor service on this occasion. Food was “okay” when usually it’s excellent. Dining at Rafters was a lovely experience. 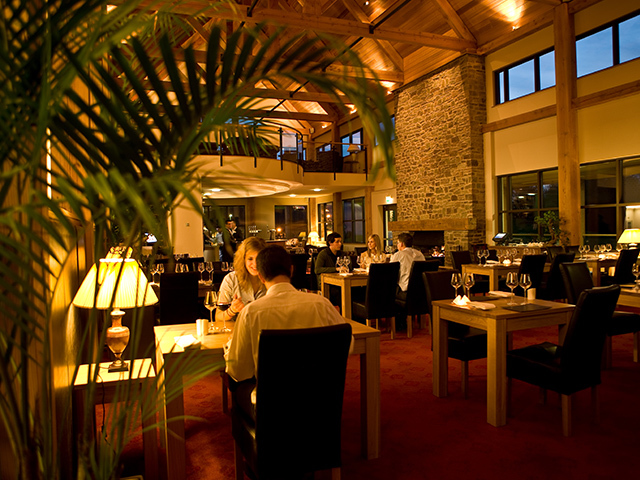 great food and service, with plenty of time to enjoy each course in wonderful surroundings with good views. Will definitely be returning. My wife and I were celebrating our anniversary. We arrived at the Rafters 20 minutes before our allocated time. We sat at the bar area for a drink beforehand and I almost fell on the floor - the chair was missing a leg - not one, but 2 chairs were missing legs! I have photos to confirm. Really disappointed to see that all the chairs were ripped and warm on the arms. Wasn’t a great start. Took ages for us to place an order and then 20 minutes to get our bill, after asking. Food was good, but not worth the price. 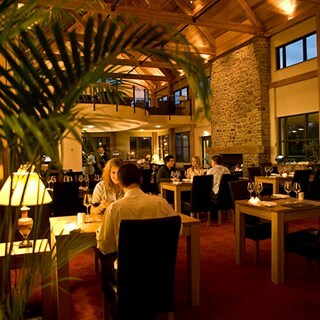 A simply outstanding meal of the highest quality, fantastic location and the staff were very polite and professional. Will definitely be returning, thank you for making my wife’s 30th Birthday a night to remember. Food, service and ambience was lovely. I’m a massive fan of golf so really enjoyed the views. Had the pigeon for starters which tasted fantastic. Hurt my tooth on a piece of lead shot that was on the pigeon. Never mind it still was a great evening. The roast beef was over cooked, and only a tiny portion provided. At least I expected it to come pink, but it was of very poor quality and as such I left disappointed. Compared to the roast pork which was provided in abundance, the beef represented a very low value meal. Two meals were served to us nearly 10 minutes after the rest of the party. Unfortunately had to send one of these meals back as  some food wasn't cooked, the meal then returned and the food was still not right. Contacted a member of staff who advised they would get a manager, after nearly an hour no manager arrived, so we had to locate them ourselves to complain. Had some discount off the meal, but would probably not return any time soon.